Hey, Uncanny Fans, the service we're using to bring you free podcasts will only keep the shows up if they continue to be downloaded. So, if you haven't checked out all the shows, now might be a good time to catch up. Linda and I hope to keep all the shows available, but we need your help to do it! And remember, you can use the comment function on the blog to give us feedback. Let us know who are your favorite guests and who you want to hear more from. Next week, Nick Redfern makes his second appearance on the show, this time talking about Loch Ness. Give his first appearance a listen if you haven't already. Keep the podcasts alive! Friend of the show Noah Voss has organized the Unexplained Conference in Madison Wisconsin this weekend. There's a nice article about Noah and the show here. Linda will definitely be there, talking and signing her books, and (family schedule willing) I'll be making the trip as well. Hope to see you there! In our next show, David Walks-As-Bear, author, Shawnee Nation member, and game warden discusses traditional Amerindian beliefs about shapeshifters and skinwalkers. 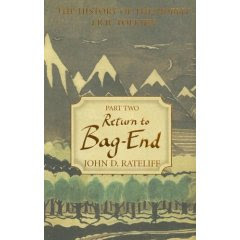 Probably the only Tolkien scholar to hail from Magnolia, Arkansas, John D. Rateliff moved to Wisconsin in 1981 in order to work with the Tolkien manuscripts at Marquette University, where he received what he likes to call 'a doctor's degree in fantasy' (his Ph.D. dissertation was on the work of Tolkien's great precursor, Lord Dunsany). He has been active in Tolkien scholarship for many years, helping to organize two major Tolkien conferences. While at Marquette, he assisted in the collation of their holdings with those that Christopher Tolkien was editing for volumes VI through IX of The History of Middle-earth series. In addition, in 1991 he joined TSR as a roleplaying games editor in 1991 and later worked for Wizards of the Coast as well as freelancing for companies like Green Ronin, White Wolf, and Guardians of Order. He has worked on three Tolkien rpgs over the years, one of which actually got published (Decipher's), and has edited or written many, many rpg projects in the last seventeen years, including co-editing the Third Edition D&D Player's Handbook and Dungeon Master's Guide and d20 Call of Cthulhu. He now lives in the Seattle area with his wife and three cats, only one of whom is named after a Great Old One. 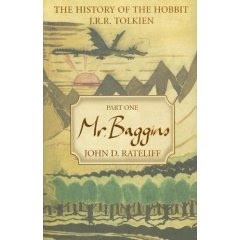 His most recent project is The History of 'The Hobbit', an edition of the complete rough draft of J. R. R. Tolkien's The Hobbit with extensive commentary on Tolkien's sources and changes to the story, which has been published by HarperCollins in two volumes: Mr. Baggins (vol. I) and Return to Bag-End (vol. II). A sharp-eared listener has pointed out that in show 003 (with Mark Moran), I mentioned the Nazca lines as being in Chile. That is, of course, incorrect. The famous Nazca Lines are actually in Peru. My apologies to all our Peruvian and South American fans. Hopefully, any alien tourists trying to land at Nazca won't be confused by my error. Phyllis Galde (Minnesota) has been an explorer of the strange and unknown since her youth. Throughout the course of her life, Galde has encountered a variety of paranormal and mystical experiences that have shaped her world view, including living in a haunted house and witnessing many paranormal occurrences. She is the author of Crystal Healing, Publisher and Editor-in-Chief of FATE magazine, Publisher of Species Link Journal, and CEO of Galde Press, Inc. In her fascinating chat with Manwolf and Linda, Phyllis reveals many of her personal experiences such as encountering the ghost of her dead grandfather at a very young age, and explains how the staff chooses reader experiences for print in the magazine out of the hundreds they receive each month. Barton Nunnelly's podcast is finally up. Sorry for the delay. Chalk it up to a combination of hinky software and an overworked and overtired blogmaster. I'm also activating the ability for our fans to post comments to the episodes, both here and at the Howls & Growls blog. Enjoy. And play nice. 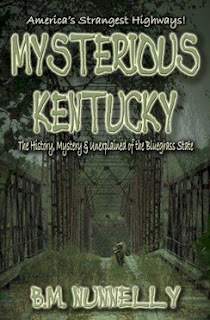 Cryptid researcher and investigator B.M.Nunnelly, a self-taught writer and artist, was born and raised in Kentucky, where he spent decades searching the bottom lands of the Bluegrass State for evidence of its unsolved mysteries. His wanderings have brought him face to face with such creatures as Bigfoot, water monsters, black panthers, out of place wolves, and other mysterious cryptids including a Thunderbird in 1998 - something no other living researcher can presently claim. He currently resides with his wife and son in Henderson, Kentucky.